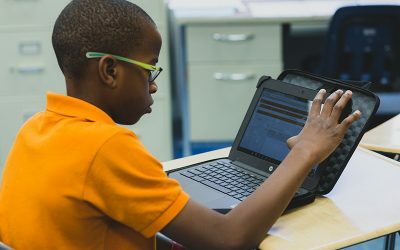 Sixth to eighth grade implementation of blended and personalized learning in a district school serving students in a suburban and rural setting. 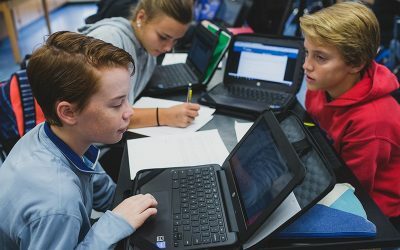 Core strategies include personalization through learner pathways, 1:1 conferencing, small group instruction, makerspaces and career-based projects, Assessment Labs, soft deadlines for student pacing, and depth of knowledge levels and a competency-based scoring criteria rubric to evaluate student work. 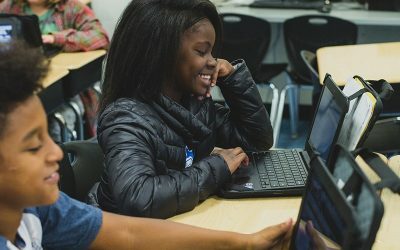 Interesting or unique highlights to check out: Personalized project-based learning through student houses and makerspaces, and district initiatives to support scaling personalized learning. Locust Grove Middle School is a district school serving approximately 1,000 students in Henry County, Georgia. Located about an hour south of Atlanta, Locust Grove’s students primarily come from rural and suburban areas. 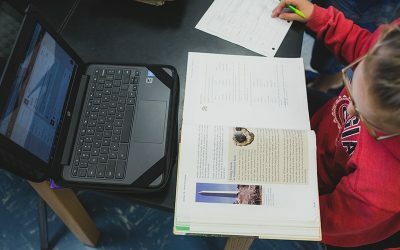 Locust Grove’s vision for blended and personalized learning centers around “educating the individual student” by providing rigorous curriculum, personalized pacing, and multiple “Learning Pathways” that connect with students’ strengths and interests. Locust Grove shifted to personalized learning in 2015 as part of Henry County’s personalized learning initiative. In early 2014, the district applied for and received a Next Generation Systems Initiative grant from the Bill & Melinda Gates Foundation. 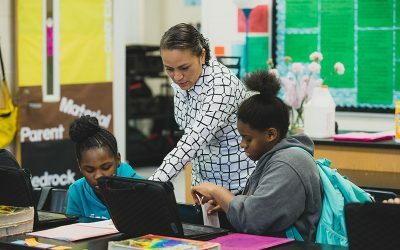 Planning for the grant helped the district crystallize its vision for personalized learning and winning it helped the district develop structures to scale personalized learning across the district. Henry County decided on a cohort approach to scale, providing substantial resources and support to a small number of schools each year. Locust Grove was one of six schools selected in the first year to transition to personalized learning. Locust Grove started its personalized approach with a focus on student engagement. 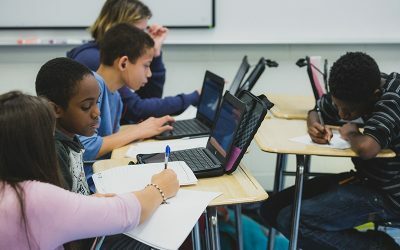 In an effort to meet student requests for more access to teachers and technology, the school created a lab rotation model using “Assessment Labs.” These larger, mostly autonomous labs reduced class sizes for core content and ensured equitable and increased access to technology. Currently in the third year, the work has evolved even further to meet student needs and interests. A project-based curriculum has been implemented that helps students explore their interests with real-world applications. 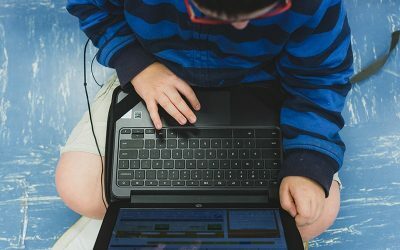 Learner Pathways have been developed to provide more choices for students, and modifications for those that need more or less time with the content. The school continues to gather feedback from students, teachers, and stakeholders about what’s working and what could be improved, helping the school adjust its planning and resource allocation to create the best possible learning environment for students. 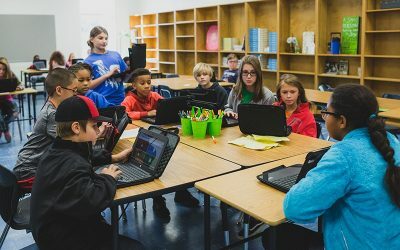 To see more about how Locust Grove Middle School started this work, check out the video they created in 2015 to highlight their approach to personalized learning. Students at Locust Grove experience personalized learning throughout their entire school day. A student will have eight periods per day, including four content classes, two electives, an Assessment Lab, and time in the makerspace. The Assessment Lab is twice the size of a traditional classroom and students spend their time primarily completing assessments and assigned online content. This helps reduce content class sizes and helps create more opportunities for teachers and students to interact in meaningful ways. The makerspace is another large class where students work on projects that align with their interests and passions. 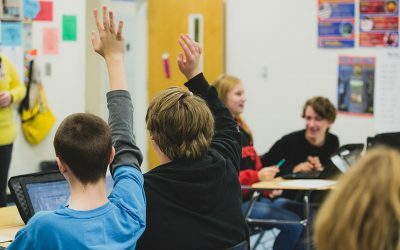 Additionally, once a week, students participate in an Advisory class, developing non-academic relationships and social supports with the teacher and students in the class. Students experience a great deal of personalization in their content classes. Students take pretests and posttests before and after a unit to identify areas to focus their efforts, as well as their academic growth throughout the unit. A student’s Learner Pathway will be modified based on what they know, allowing them to skip material they’ve already mastered. Students are also able to work at their own pace, moving faster or slower based on their need. 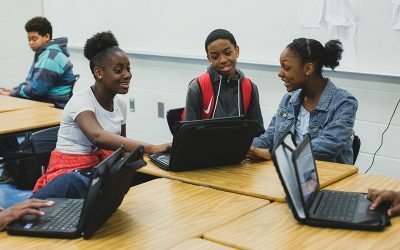 Students continually interact with teachers throughout the day, in 1:1 conferencing, small groups, and communicating through Google Classroom. These interactions help ensure the student is working on the appropriate content and getting the supports they need. Teachers at Locust Grove help personalized learning come alive in a multitude of ways. With the creation of Assessment Labs and makerspaces, content class sizes have been reduced from ~34 students to ~23 students per class. 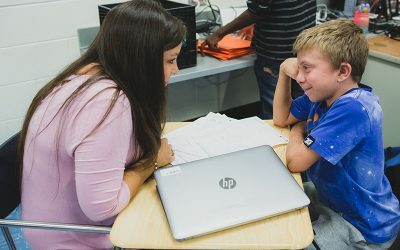 Smaller classes create more opportunities for teachers to get to know their students, such as through 1:1 conferencing and small group instruction. Teachers are able to build better relationships with students, understand their strengths and needs, and modify instruction appropriately. Teachers use a variety of methods to personalize learning for their students. After assessments are graded, teachers help students determine the learning targets mastered and which ones they may still need to work on through an item analysis. This analysis, in conjunction with MAP data and other data (formative, teacher observations, etc. ), helps teachers determine how best to modify the student’s Learner Pathway. Learner Pathways can be modified to help students work on skills they haven’t fully mastered, skip skills they have, and to provide more time for students that may need it. Teachers meet frequently throughout the week, across their subject area (e.g. science) and grade level (e.g. 8th grade) to review student data and discuss instructional modifications. Teachers also play a large role in the change process at Locust Grove, providing feedback about what’s working and what’s not, as well as ideas for how to improve teaching and learning. Locust Grove works to ensure instruction is rigorous, relevant, and relationship-oriented. Core content is structured so students can go deeper in their learning through projects. Projects align subject areas with career pathways to provide students with opportunities to apply their knowledge in real-world settings. Projects help students develop 21st Century skills, along with class offerings like Robotics. 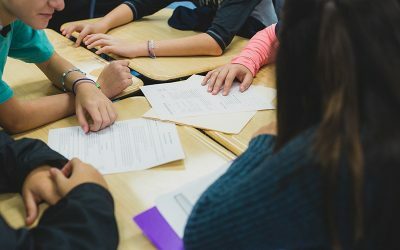 Learning is structured, in projects and content areas, with a group focus to help students build relationships, which is also bolstered through an Advisory class. 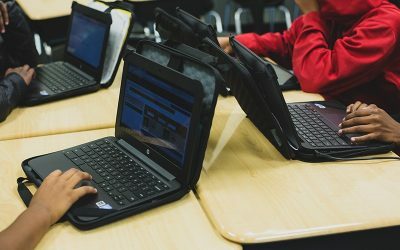 Locust Grove views technology as a tool to improve instruction. The first two years of personalized instruction were delivered with a 3:1 student to device ratio. 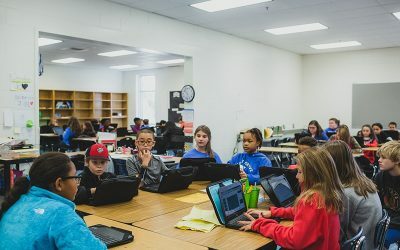 During this period the school leveraged technology to create a foundation of practices focused on personalization, data use, and mastery-based progression. In the third year, the school has started its 1:1 program, enabling it to push these practices even further. Personalized learning occurs throughout most of the day at Locust Grove. 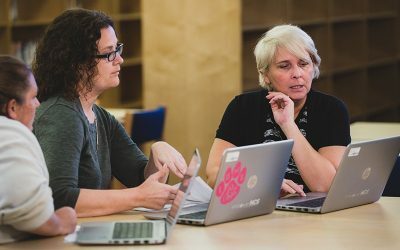 The Assessment Lab provides time for students to work through online content and assessments, and the makerspace allows them to pursue projects of interest. Both of these classes have a high degree of student autonomy, allowing for large class sizes. 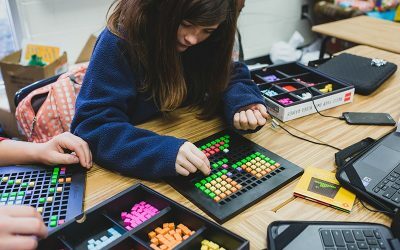 Assessment Labs generate data that content teachers can use to modify student instruction and the smaller class sizes created by the labs and makerspace create more opportunities for personalization throughout the class period. Data is leveraged by students and teachers to improve teaching and learning at Locust Grove. 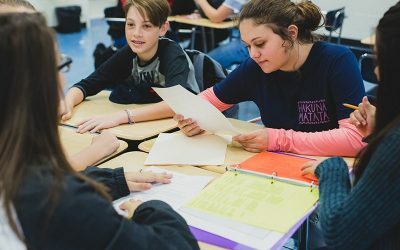 Students take assessments before and after a unit and analyze their results to determine what they already know and what they need to work on. Teachers also review this data, along with formative data, observational data, and benchmark data to determine what sort of modifications should be made to instruction. Increasing student engagement is a core focus of Locust Grove’s approach to teaching and learning. 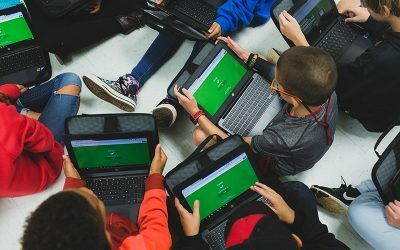 Based on student feedback, over three years of personalized learning implementation the school has worked to increase student access to teachers and technology. 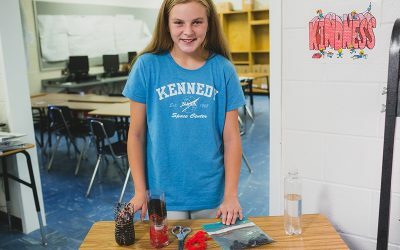 Students are provided with multiple avenues of individualization throughout their learning, including conferences, projects, and modified Learner Pathways. Learner Profiles are also in the early stages of implementation, which will help educators know their students even more and better personalize learning for them. Locust Grove utilizes the competencies Henry County developed for its personalized learning initiative. Mastery is defined within each competency, and students can move through content at their own pace. 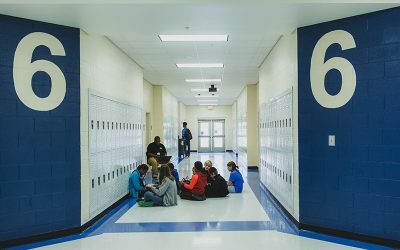 Locust Grove Middle School was one of the first schools in Henry County, GA to transition to personalized learning. 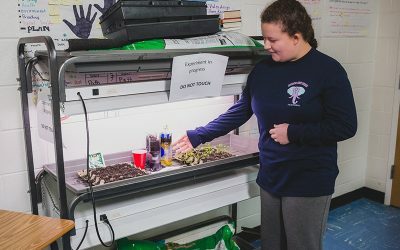 As part of the initial cohort, Locust Grove experienced a variety of Henry County Schools’ initiatives geared towards scale and sustainability, while also creating their own. Staffing: Locust Grove has a fairly typical staffing model, with teachers in every classroom. The two exceptions are Assessment Labs and Makerspace, which are staffed with paraprofessionals. Teacher Support: Teachers at Locust Grove receive approximately 100 minutes of planning time each day. On Mondays, teachers of the same grade and subject (ex. 8th grade science) meet for collaborative planning. Teachers are supported by a project manager, who provides one on one support, as well as professional development (PD). PD focuses on certain components of personalized learning (e.g. agency) and has components of personalization as well, allowing teachers to make the best use of their PD time. Teachers can also access a repository of resources online at any time. 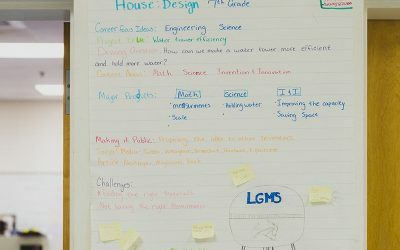 Space: Locust Grove made minor modifications to its traditional building to better support personalized learning. It knocked out walls between two classrooms to create Assessment Labs (2) and Makerspaces (2). The spaces have been modified to support online learning/assessments and project-based learning, respectively. 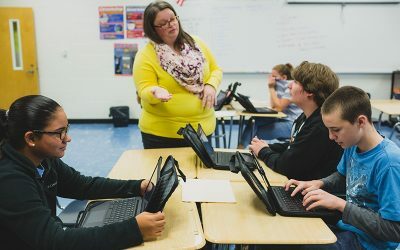 Devices: Locust Grove recently rolled out a 1:1 device initiative to better support its approach to personalized learning. Funding: Henry County received a planning grant and, shortly thereafter, an implementation grant from the Bill & Melinda Gates Foundation totaling approximately four million dollars. These funds were spread across the district, focusing on supporting the initial cohort of schools personalizing learning, as well as building district systems to support all of their schools making the transition (eventually). The funds helped the initial schools plan and implement personalized learning. Locust Grove was one of these initial schools. 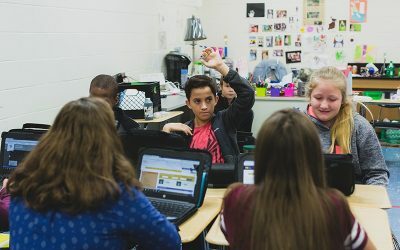 Thanks to the systems built, Henry County estimates spending between $150,000-175,000 for each new school that personalizes learning it the district. The cost is spread over three to five years and repurposed from existing budget allocations. Content: This model relies on the availability of online learning programs and assessments. 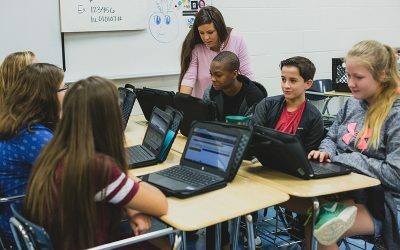 Locust Grove is in its third year of implementing personalized instruction across the entire middle school in all content areas and grade levels. Locust Grove was in the first cohort of schools to implement personalized learning in Henry County. Providing monetary support, investing in people, and taking the time to talk through issues and challenges of transitioning to personalized learning. 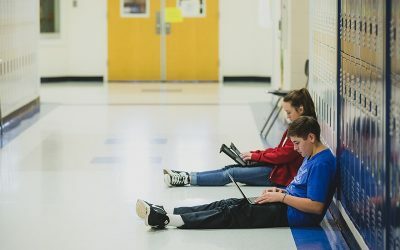 Creating five pillars for personalized learning, helping schools focus on five core instructional components but providing them with the autonomy to implement it as they choose. Supporting personalized learning school leaders through structured training and coaching. Creating a cohort model to properly allocate limited district resources each year to schools most willing and able to transition to personalized learning. 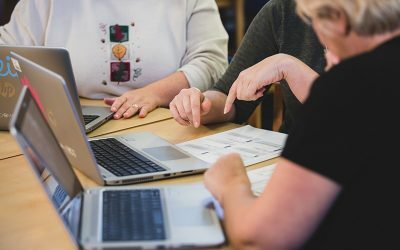 Creating a school redesign process that helps schools think about and plan for the instructional environment they want to create through personalized learning.